The Venice home of the late actor, photographer and artist Dennis Hopper sells for $5 million. The property includes a pool house, a guest cottage and three two-story condominiums for a total of seven bedrooms. 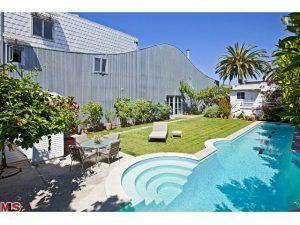 The Venice compound of the late actor, photographer and artist Dennis Hopper has sold for $5 million. 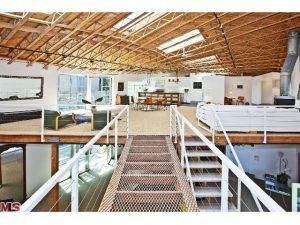 Reintroduction of legendary artist and actor Dennis Hopper’s exciting compound featuring stunning main house of approximately 5000 sq ft,designed by Brian Murphy,AIA. Adjoining the Industrial inspired main house is an extra side parcel with lushly landscaped yard, lap pool , spa, pool house and guest cottage. 3 separate and distinctive two-story condominiums designed by internationally acclaimed architecture Frank Gehry complete the complex on 15,568 sq ft-this is a true oasis in the city and a life time opportunity to purchase 5 separate parcels. Close to both Abbot Kinney and Main street,this property offers both a rich history and unlimited possibilities for a creative live and/or work space celebrating the very best of Venice.